This weekend’s ABC Supply 500 at Pocono will play a crucial role in deciding the 2015 IndyCar champion. MotorSportNotes preview the race examining how testing at Indianapolis, Honda’s upturn in form and team tactics will play out on Sunday. Chevrolet’s lead Penske and Ganassi teams left the Indianapolis tire test confident, which should be a concern for their rivals. Penske’s Simon Pagenaud indicated that some of the developments could be used at Pocono this weekend. Coming from the team that was so dominant at Indianapolis in May, that is ominous. Honda have enjoyed a mini-renaissance since but critically none of the circuits visited bare any direct relation to Indianapolis. Pocono does. Combined with a positive test last week and the Chevrolet teams of Penske and Ganassi will likely lead the way in Pennsylvania. 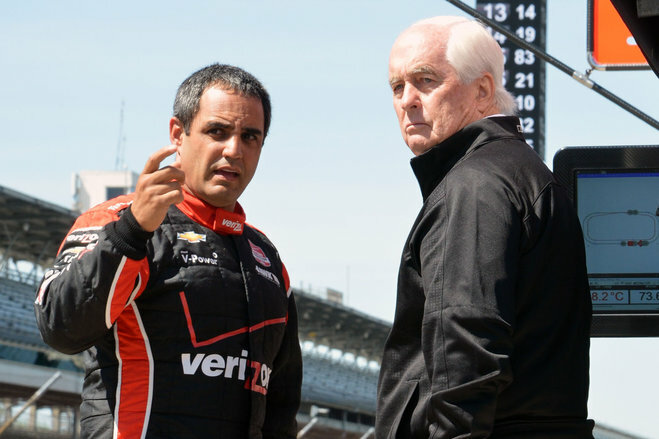 Montoya with team owner Roger Penske. Penske need to lead the way and to execute flawlessly. The jitters that have reared their head recently have put the Captain and his team on the back foot. On paper Pocono could not be a better penultimate round for the defending series champions. Then again, prior to Milwaukee, Iowa and Mid-Ohio few expected Penske to be doing anything other than leading from the front. Further complicating matters is how Roger Penske and Tim Cindric manage the intra-team battles against securing back-to-back championships. All four Penske drivers are mathematically capable of winning the title. Realistically Montoya is their best shot but, perhaps frustratingly for Penske, both Castroneves and Power are right on the cusp of being both in contention and almost not. Tony Kanaan will undoubtedly play tail-gunner for Scott Dixon in the closing races and Graham Rahal will continue to play the lone wolf role with relish. If they are not careful, Penske could go from being the team we all feared could sweep 1-2-3-4 in the championship to missing out on the title completely. How Penske’s strategy plays out on Sunday afternoon is definitely something to watch out for. Chip Ganassi, Mike Hull and Scott Dixon all know how to play this one out. With Kanaan filling the tail-gunner role, support from Kimball and Karem and Dixon fast on both the remaining circuits, they have a much clearer strategy than Penske and more options on race day than Rahal. 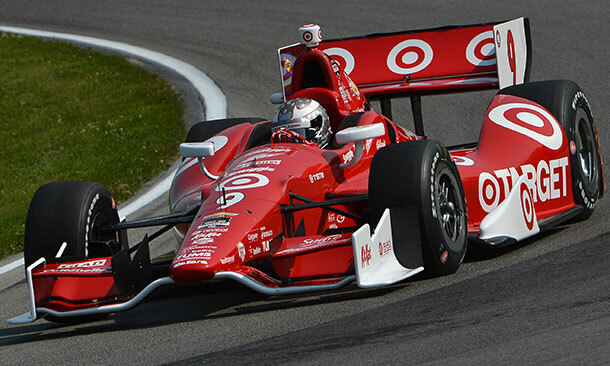 Pocono will be a strong circuit for Ganassi; their performance at Indy was second only to the winning Penske’s and they came away from the Brickyard with plenty of data in the recent tire test. Expect Dixon, Kimball (who finished 3rd at Indy) and Kanaan to be topping the lap speeds and there is no reason Karam – assuming he keeps his nose clean – cannot run at the front of the field. With three on-the-money set ups to copy the rookie should not take long to acclimatize. 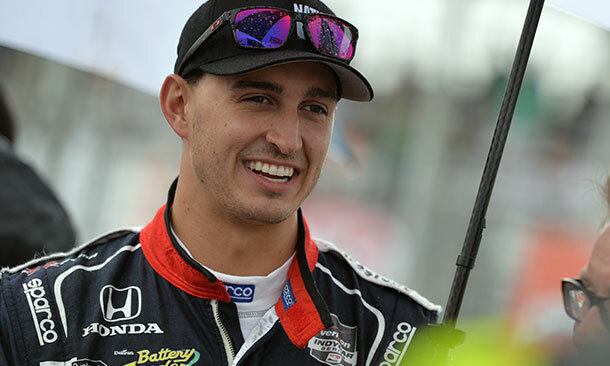 Running as part of a one-car team has always been a disadvantage for Graham Rahal though you would not have guessed it recently. Mighty performances have papered over the fact Rahal has no back-up in races and in terms of set-up data. The dual testing at Indy and Sonoma saw Rahal Letterman Lanigan Racing run at the venue for the season finale only. Unlike Penske and Ganassi they did not have the luxury of running at both. Yes, the season finale is double-points and RLL need to maximize their performance there. But the flip side is that Honda-backed teams probably needed superspeedway feedback for Pocono given their relative lack of pace back in May. A further disadvantage for the smaller teams at Pocono is the 500-mile race distance. With a record setting average speed last season, green flag pit stops will be a deciding factor in the result. That creates pressure for crews which typically sees the smaller, underfunded teams make mistakes. Rahal has the momentum in the championship but Pocono could bring that to a shuddering halt if the team cannot nail their set-up early in the weekend and execute their pit stops. Their rivals from Penske and Ganassi will. Despite nine potential victors from the Penske, Ganassi and RLL stables alone, superspeedway racing means some interlopers could challenge for victory. 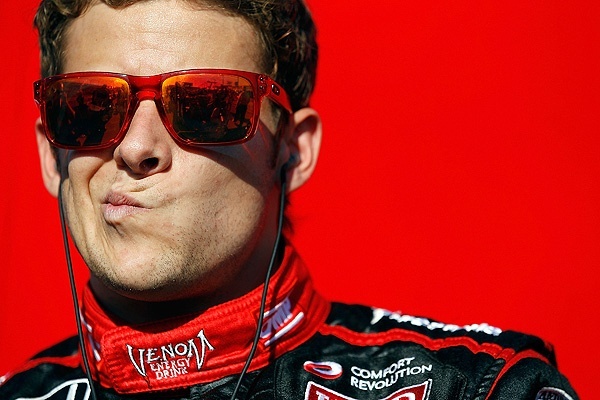 Marco Andretti and Ryan Briscoe are the two we think are worth watching. Though Andretti’s talent is often called in to question, superspeedways are the one place it cannot be doubted. Overdue a win he has the potential to do it but will be hoping Honda’s recent upturn in form translates to Pocono. Briscoe has deputized for the injured James Hinchcliffe admirably. The results do not reflect what have been a number of strong performances. The Australian was knocking on the door of the top 5 at Fontana and Milwaukee only for the mistakes of others have cost him. Talented at engineering his car throughout 500 milers, a victory would be a fitting reward for a rollercoaster season at Schmidt Peterson Motorsport.